Driving up a waterfall or across the ceiling can provide an intense adrenaline rush, but that’s not all anti-gravity is good for. It also provides a wild new gameplay mechanic: if you collide into other racers in zero-g, you’ll earn speed boosts worth bragging about. Luckily, you can upload and share your best moments and watch your friends’ using the all-new Mario Kart TV. * Returning features include 12-player online play*, gliders, underwater racing, motorbikes, and custom karts. You can even race as Bowser’s seven minions, the Koopalings! Mario Kart 8 is a slick and gorgeous-looking kart racer that's perfectly solid but not always as exciting or addictive as we've come to expect from the series. Like much about the game, it balances frustrating randomness with exercises of supreme timing and skill. 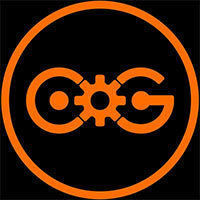 It balances the old, iterative parts with the shiny and new. It is very much Mario Kart: Take it or leave it. The core is the same as ever, but this is kart racing at its finest. If you have a Wii U and even a modicum of interest, grab it. Mario Kart is typically the best racer for most people. That’s no different with Mario Kart 8. Nintendo has combined its classic gameplay (finely tuned as ever) with beautiful visuals, and the result is something that I love playing — and so will most people. Throw in Mario Kart TV - allowing you to access other player's replays and upload your own to YouTube - and the returning online functionality (which is passable, if not a little outdated), and there's simply no reason not to own Mario Kart 8 if you own a Wii U. With the addition of new visual capabilities, stellar track design, and a continued slow march toward modern online functionality, this is the best the series has been since the GameCube era. If Mario Kart 8 is showing its age, it’s a spry octogenarian if I ever saw one. Excellent new courses and spectacular visuals go a long way toward negating the sense of over-familiarity that comes part and parcel with all things Mario Kart. Mario Kart is one of my favorite franchises, but it's hard to get excited for the same old thing. But the more I played, the more I appreciated the many small changes, and grew to love my time in the Mushroom Kingdom. And now that yawn has changed to a shout of joy. It's more Mario Kart! I'm happy Nintendo still understands what makes this series so darn fun. At the end of the day if you have a Wii U you’d be crazy not to pick up this game. If you’re still don’t own a Wii U Mario Kart 8 is yet another title to make you realize that Nintendo’s “next-gen” machine is capable of great games that the whole family can enjoy. 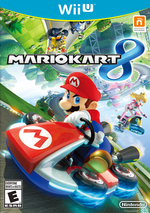 Nintendo needed another great game to make the Wii U look as enticing as possible and Mario Kart 8 fits the bill. The anti-gravity gameplay slots in alongside classic kart racing, hang-gliding, and underwater action. 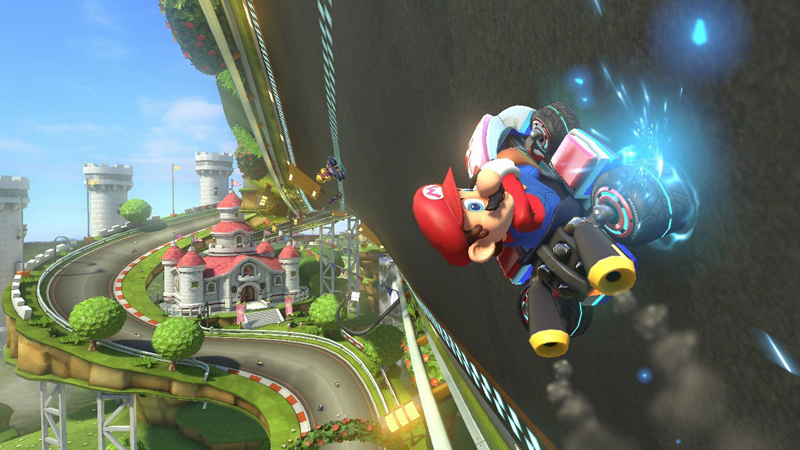 All the tracks look amazing and Nintendo has a lot of fun making each track twist, turn, and soar into the sky. Robust online multiplayer, downloadable player ghosts, and Mario Kart TV add a bit of extra muscle. Mario Kart 8 is not the best in the series, but it does stand near the top. Then again, "You might only be able to have tons of fun for a month or two" is the closest thing to a complaint I could level against Mario Kart 8. It doesn't bring massive innovations to the formula, but it's overflowing in that Nintendo magic that makes it so easy to forget about minor shortcomings. It manages to blend together old tracks with the new and provides new playable characters never before seen in the Mario Kart series. Playing as the koopalings is one of the highlights of the game and it’ll be no surprise to me if everyone has a favorite once they’ve gotten their hands on the game. Admittedly, its gorgeous graphics and jazzy orchestrated soundtrack bolster its presentation, but you’re getting a lot more than just looks with this one – although I spent an awful lot of time gawking at the details in slow-motion, the fast and furious pace of racing with friends both locally and online is what really kept me coming back. I’ve played enough Mario Kart in my life to know that this is the best version of the venerable kart-racer since the Nintendo 64 era. While I never owned Mario Kart Double Dash, this game will prove even more fun for multiplayer-focused fans thanks to expanded online options. If you’ve fallen out of love with the series or you’ve gone without a Wii U this long, you should try for a photo finish at checkout. This newest iteration, with its tightly balanced gameplay, giant content offering and lush visuals and audio, will have you and yours screaming, cursing and cheering through countless hours of play. ...Mario Kart 8 is yet another overwhelmingly powerful argument in favour of the company’s idiosyncratic approach to design. Despite my criticism of some of the modes and gameplay mechanics, Mario Kart 8 is still an amazing game, and as intense and addicting as its predecessors. Despite an unfortunate change to its battle mode, MK8 is a solid extra lap on a series with a great foundation. The gravity-shifting sections spliced into existing and new tracks feel like a natural extension of the series rather than a gameplay-changing revelation, but it's a strong complement to an already enjoyable experience. Mario Kart 8 is my favorite series entry since Double Dash, and if it gets arena battle tracks at some point by way of DLC, it will be a near-perfect package. Its vibrant visuals will hold up for years to come, ensuring that the game will withstand the test of time, and it will be a staple in my household for a long, long while. A combination of fun, fairness, beauty and joy, Mario Kart 8 is absolutely brilliant. 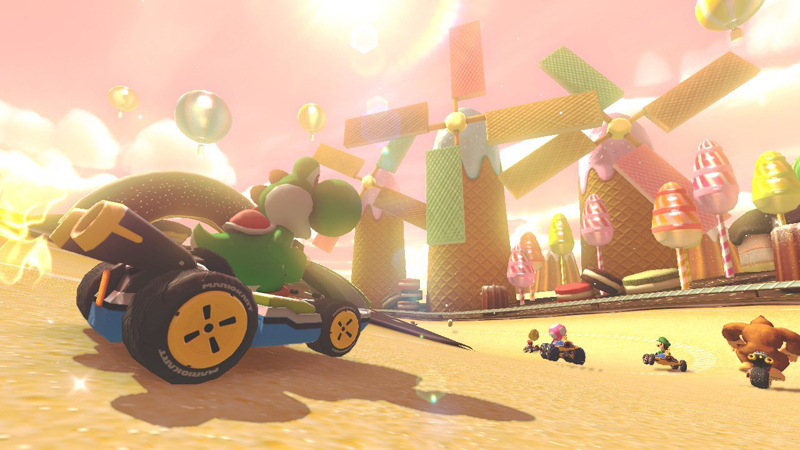 A botched battle mode and some missing online features stop it short of perfection, but it’s hard to imagine any Mario Kart game looking, playing, or sounding better. If you needed a reason to own a Wii U, look no further. While the latest entry doesn’t set the world on fire with its innovation, it makes up for it by delivering some of the best tracks in the history of the franchise, and rock-solid visuals. Add that to good online play and we have the best entry in the series in years. MK8 is slowly becoming one of my favorites in the long-running franchise, and it is a must-own for those who have a Wii U.
Mario Kart 8 has perhaps taken a little longer than we expected to arrive, but it’s been worth the wait. The vehicles and racers have never handled better, the collection of courses is possibly the best yet, while replayability through Ghost Races or — primarily — online races and Tournaments is almost endless. 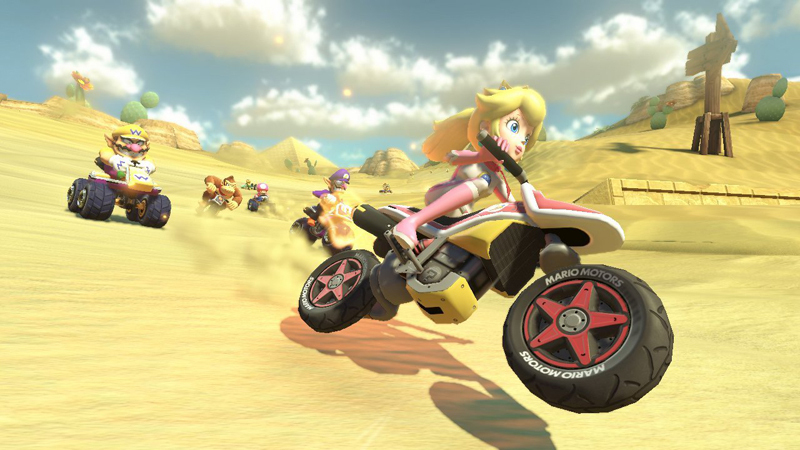 Mario Kart 8 doesn’t deviate from the formula set by previous games, and you might not even notice the anti-gravity mechanics until you’re driving up a wall or upside down, but that’s what’s so good about it. They’ve refined every single feature and mechanic – aside from a poor Battle mode – and brought it all together to create an objectively simple, but deceptively deep, racing game which will hold your attention for years to come. Mario Kart 8 should certainly be added to the list of top-tier entries, and none of the previous titles can boast the rock-solid total package that this one offers. Say what you will about Nintendo sticking with the tried and true, but I have no problem with that as long as it stays this fun. There's 32 tracks in Mario Kart 8. They're evenly split between remixes of older tracks and brand new ones that take full advantage of the HD upgrade, hardware and new kart abilities. The new courses really impress, and even the classic ones, though we've raced them to death in previous franchise entries, give a nice break with their simpler designs of circular routes and more straight-forward racing lines. It all adds up to a racing title that's a must buy for Wii U owners. 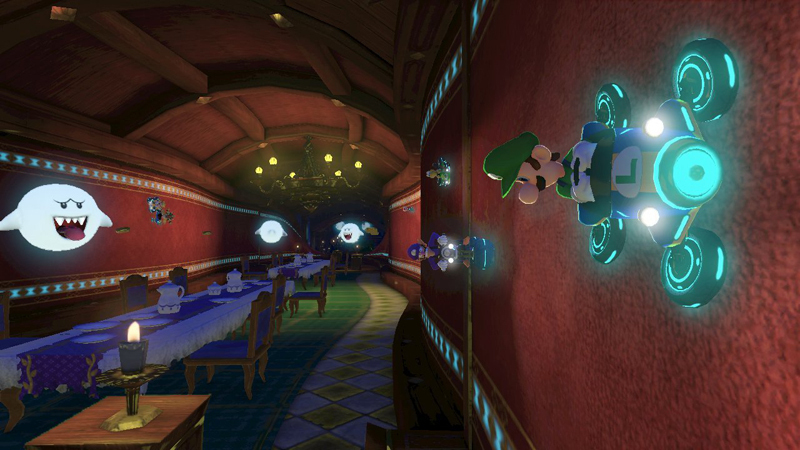 Bold, accessible, deep and rich, Mario Kart 8 is premium video game development. It feels expensive. But this isn't the vacuous lavishness of the Hollywood blockbuster; its excesses and indulgences work towards a common goal - or rather, finish line. Every Mario Kart's offered something new, but few feel like they've changed the series' formula so importantly - this is a line in the sand. Magnificent. Mario Kart 8 nos propone las carreras más locas, divertidas y jugablemente variadas de cuantas hayamos visto en la serie. La incorporación de tramos antigravitacionales añade riqueza a un conjunto que hereda mecánicas del pasado integrándolas con otras nuevas, incluyendo objetos, personajes y trazados. Lo único que no le ha permitido alcanzar más velocidad al bólido de Nintendo es la ambición en modos de juego (que son los mismos de siempre) y un online que aunque avanza todavía teme a la palabra "innovación". Al final, todo es tan sencillo como pisar a fondo el acelerador y preguntarse simplemente si ese juego de carreras locas que no deja de evolucionar y perfeccionarse sigue siendo divertido hoy en día. La respuesta es un sí rotundo. Mario Kart 8 es un título imprescindible para todas aquellas personas que posean una Wii U y un motivo más que a tener en cuenta de cara a hacerse con una. Mario Kart 8 se convierte en uno de los mejores juegos que han aparecido en la franquicia de conducción de Nintendo. Estamos ante un título que se define con una palabra: explosivo. Diversión desde la primera carrera, intensidad y frenetismo en cada circuito. La mejor manera de definir la grandeza de un juego es pensando en qué ofrece. En cualquier caso es un absoluto imprescindible de Wii U, y si te gusta mucho la saga, o este tipo de juegos, aunque suene un poco exagerado, justifica casi por si solo la adquisición de una Wii U. Nuevamente una lección de jugabilidad, diversión y diseño por parte de Nintendo, que vuelve a demostrar que en eso de hacer buenos juegos, son prácticamente imbatibles. Los 32 recorridos y los 30 personajes jugables que tenemos ahora nos van a dar muchísima diversión durante un montón de tiempo. Es probable que tras meses jugando aún sigáis descubriendo más atajos y secretos en sus carreras, que son más completas que nunca. El multijugador más especial y mágico de las consolas ha vuelto, y sigue siendo una propuesta sólida y altamente recomendable. Mario Kart 8 ist reine Freude am Rennen inmitten von Kuchenpisten, Schokorändern und Bananenschalen. Fast so, wie es früher einmal war. Da sind sie wieder, die Mario-Kart-Klischees: das Grölen, die Freudenschreie und Flüche; die zerstörten Freundschaften. Erzählt mir, was daran schlecht sein soll. Mario Kart 8 sorgt mit seinem herrlich wilden Streckendesign nicht nur für Kribbeln im Bauch, sondern auch für wahrhaft erhebende Schadenfreude. In kaum einem Spiel liegen Spaß und Wut so nah zusammen, wenn man einen Gegner samt blauem Panzer kurz vor der Ziellinie aus dem Weg bombt. Die fantasievoll gestalteten Schraubenzieher-Kurse eignen sich hervorragend dazu, seine Freunde mit Panzern und anderen Gemeinheiten zu piesacken. On aurait aimé une plus grande prise de risque comme avait su le faire Mario Kart : Double Dash!! 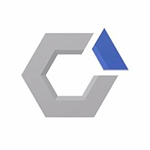 sur GameCube, mais il faut croire que Nintendo est conservateur. Comment lui en vouloir de toute façon, Mario Kart 8 mettant une gifle de mammouth qui nous incite à tendre l'autre joue. Avec plaisir. Plus équilibré et moins frustrant que Mario Kart Wii, plus beau que Mario Kart 7 et plus accessible que les épisodes les plus anciens, il n'aura aucun mal à trouver son public. Reste que l'IA aurait pu être plus rapide, le contenu solo plus riche et la difficulté générale plus haute mais l'intérêt est clairement ailleurs. Pode-se afirmar que Mario Kart 8 é a o melhor Mario Kart de sempre. Vinte anos permitiram refinar uma fórmula quase até à perfeição. A jogabilidade está no ponto com uma suavidade de controlos imbatível, o online sofreu uma evolução fantástica e a integração com o MiiVerse é da mais exaustiva já vista na consola. No final, não fica só a certeza de que a Nintendo sabe fazer bons jogos e sobre como este título poderá renovar a esperança numa trajectória diferente para a Wii U. Ainda que ligado a MK7 pela sua estrutura e principais modos de jogo, MK8 é o jogo mais completo, impressionante e divertido da série. 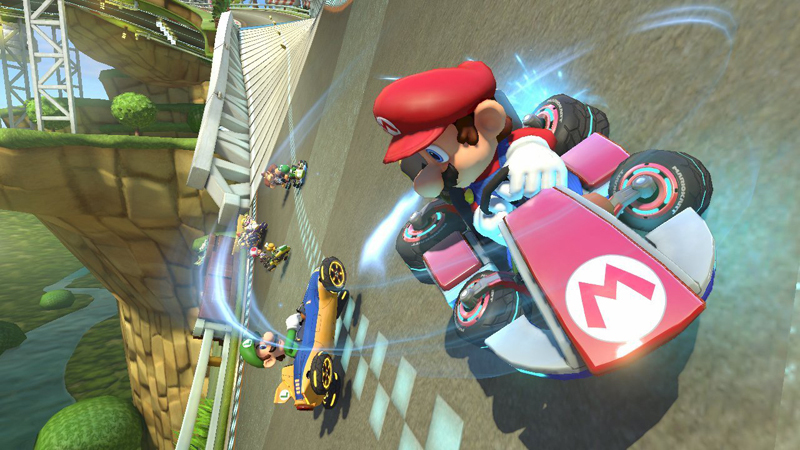 Mario Kart 8 è un vero gioiello capace di offrire in un unico pacchetto una realizzazione tecnica eccellente e un gameplay da sogno. Come era già accaduto con Super Mario 3D World, anche in questo caso Nintendo ha dimostrato di essere ancora in grado di stupire senza dover per forza abbandonare "il solito Mario Kart", semplicemente evolvendo e raffinando all'inverosimile una formula universalmente amata. Nintendo ha fatto molto e quasi tutto al meglio: Mario Kart 8 è un gioco bellissimo da vivere e spettacolare in maniera unica da vedere. Le nuove piste funzionano alla grande, così come i ritocchi e le novità nel modello di guida. Ottimo anche il comparto online, per quanto ancora perfezionabile. Rimangono sopraccigli alzati per la modalità battaglia e per l'impossibilità di utilizzare il GamePad per aggiungere un giocatore in locale. Het is in veel opzichten gewoon weer een Mario Kart zoals die er traditiegetrouw hoort te zijn op een nieuwe Nintendo-console. De spelbalans is echter dusdanig bijgesteld dat dit achtste deel beter is toegespitst op spelers van ieder niveau, met de leukste Mario Kart tot nu toe als gevolg. Missie geslaagd dus, met een toepasselijk eindresultaat. Over het algemeen kunnen we concluderen dat Mario Kart 8 een meesterwerkje is. Het spel stijgt met kop en schouders boven de meeste Wii U-releases uit en is een kwalitatief hoogwaardig Nintendo-product. Er is echter net iets te weinig vernieuwing aanwezig om te spreken van een echt pareltje.